THE B-MOVIE NEWS VAULT: Donald Cammell's WHITE OF THE EYE coming to Scream Factory Blu-ray in November! Donald Cammell's WHITE OF THE EYE coming to Scream Factory Blu-ray in November! 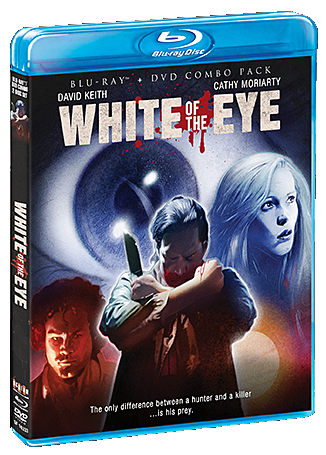 GET SCREAM FACTORY'S "WHITE OF THE EYE" BLU-RAY/DVD COMBO PACK ON NOVEMBER 10TH! Scream Factory continues working their magic by releasing another genre film I am not familiar with. Guess I'll just add it to my ever-growing want-list of their titles. All the clues lead to one man who is clearly innocent. But nothing is as simple as black and white in Donald Cammell’s 1987 suspense thriller WHITE OF THE EYE! Golden Globe nominees David Keith (AN OFFICER AND A GENTLEMAN, FIRESTARTER, DAREDEVIL) and Cathy Moriarty (RAGING BULL, CASPER) star in this shocking mystery-thriller directed by Donald Cammell (DEMON SEED and co-director of PERFORMANCE). The film also features an eclectic score by Nick Mason (Pink Floyd) and Rick Fenn (10cc). NEW Into the Vortex – an interview with actor Alan Rosenberg. NEW Eye of the Detective – an interview with actor Art Evans. Audio Commentary by Donald Cammell biographer Sam Umland. Deleted Scenes with commentary by Sam Umland. Into the White - an Interview with cinematographer and steadicam operator Larry McConkey. Flashback Sequences prior to the Bleach Bypass process. WHITE OF THE EYE will be available everywhere on November 10th, and retails for about $30. 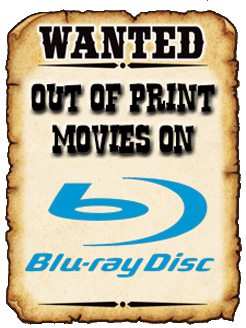 You can get a it from AMAZON.COM, or you could order this DVD/Blu-ray combo directly from SHOUT! FACTORY and receive it TWO WEEKS EARLY! Keep up the bang-up job Scream Factory!